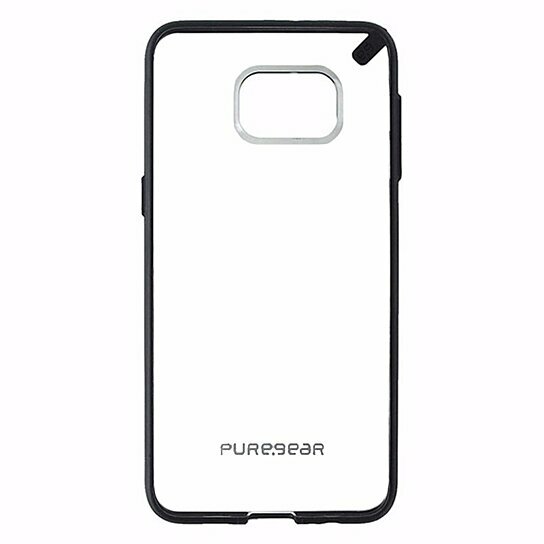 Pure-Gear Slim Shell Case for Samsung Galaxy S6 edge + (Plus). Transparent Clear finish with Black border trim. Flexible rubber sides with a durable polycarbonate frame.